The Minx Xi handles just about any format of music, from many different sources. 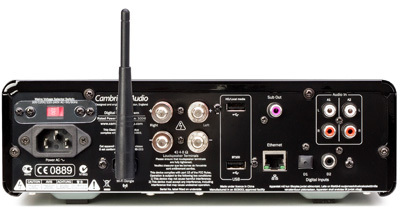 It will wirelessly stream music from a network or hard drive via UPnP in lossless formats such as ALAC, FLAC, AIFF or WAV, all up to stunning 24-bit/96kHz studio quality. 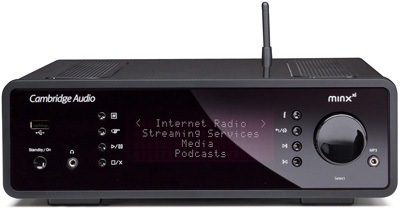 The Minx Xi’s streaming capabilities also include Spotify Connect and internet radio giving you access to a virtually unlimited music selection and over 20,000 internet radio stations.Connect the optional BT100 to wirelessly stream music from your smartphone or tablet via Bluetooth, so you can enjoy music stored on your phone or listen to your favourite music services such as Apple Music or YouTube. The BT100 is aptX ready, meaning you can enjoy high resolution streaming from supported devices.